The Fuel D266 Lethal chrome wheel is available is 20, 22 and 24 inch sizes. The D266 Lethal wheel is available in standard, aggressive and lifted truck fitments. Prices are for cast aluminum barrels and cast aluminum centers. Forged centers are available for an additional charge. 20x10 5x114.3 / 5x127 -19 D26620002647 $550.00 47 Lbs -->> Call or email for special deals! 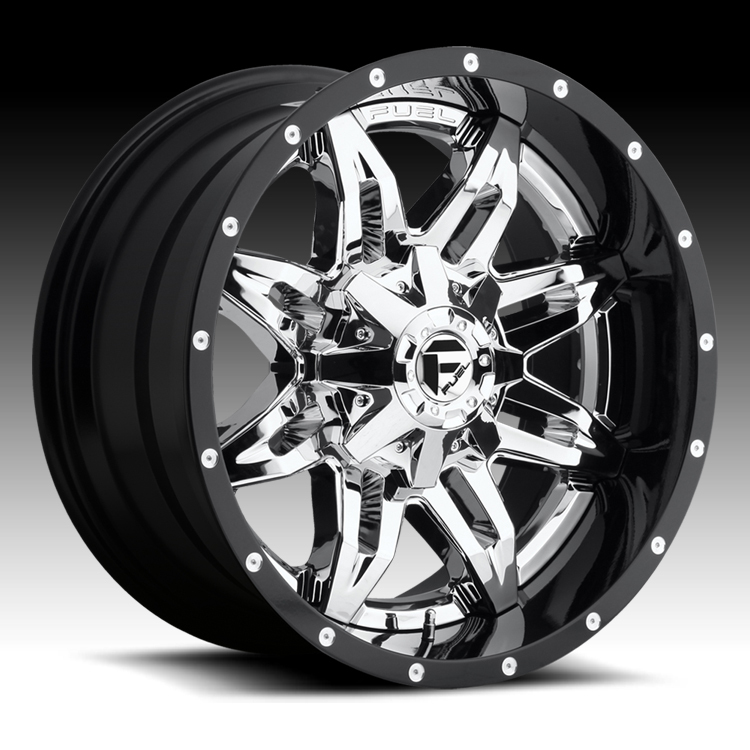 20x10 6x135 / 6x139.7 -19 D26620009847 $550.00 47 Lbs -->> Call or email for special deals! 20x10 8x165.1 -19 D26620008247 $550.00 47 Lbs -->> Call or email for special deals! 20x10 8x170 -19 D26620001747 $550.00 47 Lbs -->> Call or email for special deals! 20x10 8x180 -19 D26620001847 $550.00 47 Lbs -->> Call or email for special deals! 20x12 6x135 / 6x139.7 -44 D26620209847 $600.00 52 Lbs -->> Call or email for special deals!